Click on the image to order this book. Click on image to order this book, or visit Amazon.com. Thanks for stopping by my Web site. In 2017 Split Rock Review published my most recent collection of poems, Limits to the Salutary Effects of Upper Midwestern Melancholy, which won the journal's inaugural chapbook award. 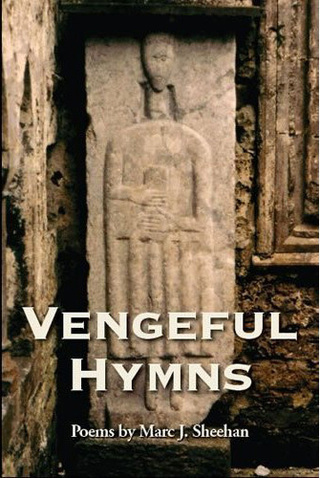 My previous book Vengeful Hymns,was runner-up for the Society of Midland Authors book of the year award in Poetry. Two poems from Limits to the Salutary Effects of Upper Midwestern Melancholy are available - both in text and as audio files of my reading them - at the link below. In 2012 the novelist Brad Meltzer selected my short story “The Dauphin” as winner of National Public Radio’s Three-Minute Fiction contest. You can access the story and hear Susan Stamberg reading it on this podcast from Weekend All Things Considered, available at the link below. Here's a link to two poems "Playlist" and "Grand Haven, Michigan, Recreates 'A Sunday Afternoon on the Island of La Grand Jatte.'" Both poems appear in my new chapbook. A link to order the chapbook is available below the cover image at left. Here is the link to "The Dauphin" on NPR's Three-Minute Fiction. Additional thanks to WMUK in Kalamazoo for helping to record my interview for the segment. 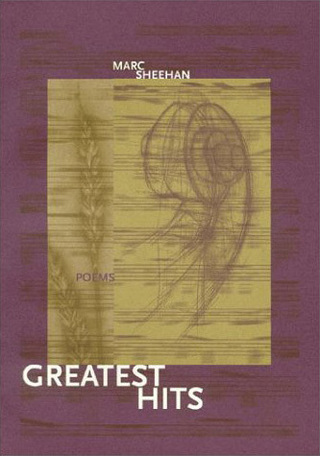 The poet, fiction writer and editor Marc J. Sheehan is a life-long Michigan resident. He has earned degrees from Western Michigan University, Central Michigan University and the University of Michigan, where he received a Major Hopwood Award in Poetry. His honors also include grants from the Michigan Council for the Arts and Humanities, and the National Endowment for the Arts. He has served as Writer Center Coordinator at the Urban Institute for Contemporary Art in Grand Rapids, and has reviewed books for both the Lansing Capital Times and On the Town. In addition to being a writer, he has also been a communications/public relations professional, bookseller, machinist, apartment painter, and certified HIV counselor. He currently lives in Grand Haven, Michigan, within walking distance of the big lake.